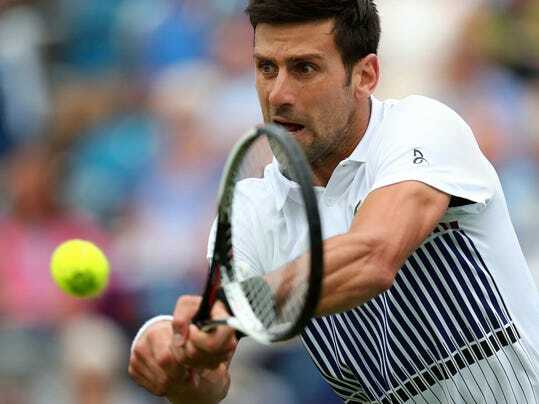 EASTBOURNE, England (AP) — Novak Djokovic made a successful transition to grass ahead of Wimbledon by beating Vasek Pospisil 6-4, 6-3 in the second round of the Eastbourne International on Tuesday. The top-seeded Djokovic broke Pospisil’s serve once in each set. It was Djokovic’s first match since his straight-set loss to Dominic Thiem in the French Open quarterfinals three weeks ago. It’s the first time he has played a grass-court event between the French Open and Wimbledon since 2010. Djokovic will play either Donald Young or Jared Donaldson in the quarterfinals.